Guide book for Zion, Arches, Canyonlands, Bryce Canyon, and Capitol Reef, with bonus section on the north rim of the grand canyon. An unique and family-focused guide to all 5 of Southern Utah's National Parks (Zion, Arches, Canyonlands, Capitol Reef and Bryce Canyon). Includes bonus section covering the North Rim of the Grand Canyon! 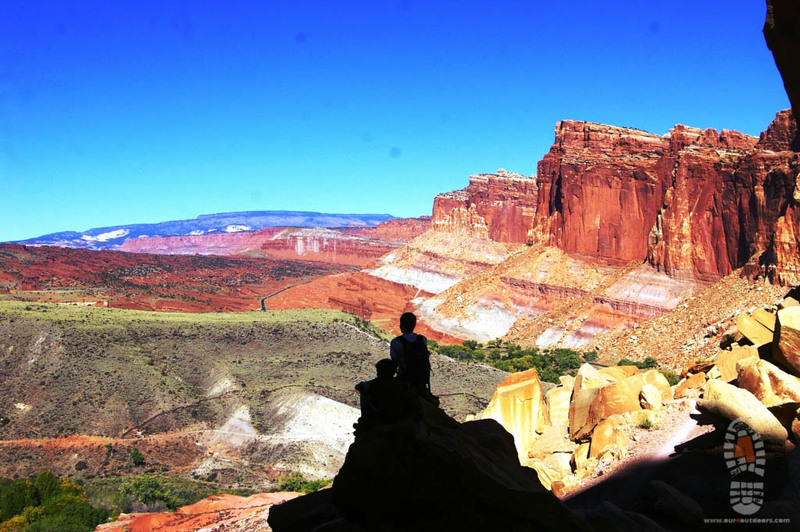 Southern Utah boasts 5 big national parks, each with its own unique character. 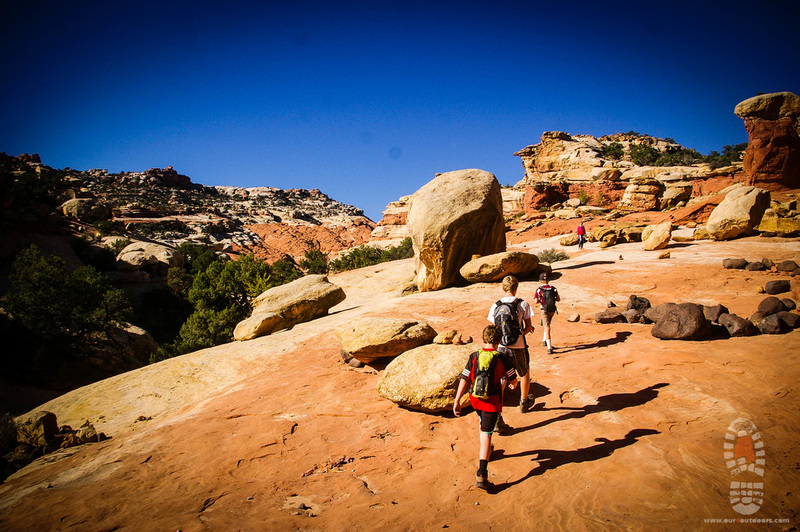 Planning a trip to southern Utah's parks can seem overwhelming-which of the 5 parks should I visit? What is the best order to visit them in? What do I need to know about each park to make the most of my time there? Will there be things my young child can do? What will my teen find exciting? Where should we stay? Can I bring my RV? Can I reserve a campsite or not? We have devoted a lot of time exploring these parks in order to bring you the best advice for making the most of your limited time. We know that you want to fit in as much as you can on your vacation without wasting any time. We also know that traveling kith kids of all ages presents its own unique challenges. As parents of 4 boys, we know what kids like and our guide books are focused on traveling as a family. We offer tips specific to the needs of your children and show you how to make the most of your time in the national parks. You are doing a wonderful thing in introducing your children to this wonderful national heritage and we want your time at the parks to bring lasting good memories for your whole family, as it has ours. If you are still not quite ready to buy, see below for a sample from the book. Click the photo above for a quick video highlight of the parks. The layers of the desert landscape in Capitol Reef are spectacular. 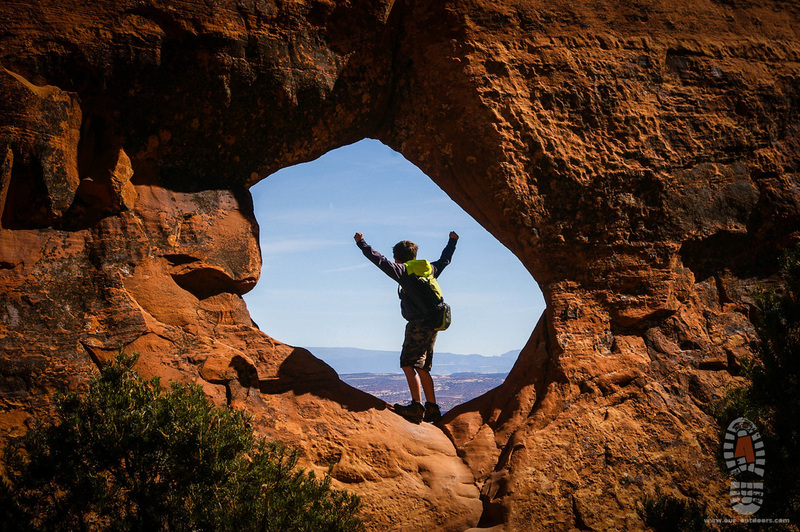 As a child, Abby vividly remembers exploring Arches National Park. One short trip there left a lasting impression on her. She says "I remember delicate soaring rock arch formations reaching across the sky above me, impossibly balanced sculptures that no man had made, and the otherness of the desert ecosystem heretofore unknown to me. I have always longed to return." This longing, stretching over decades, is what inspired our family to visit this jewel of a national park last fall. 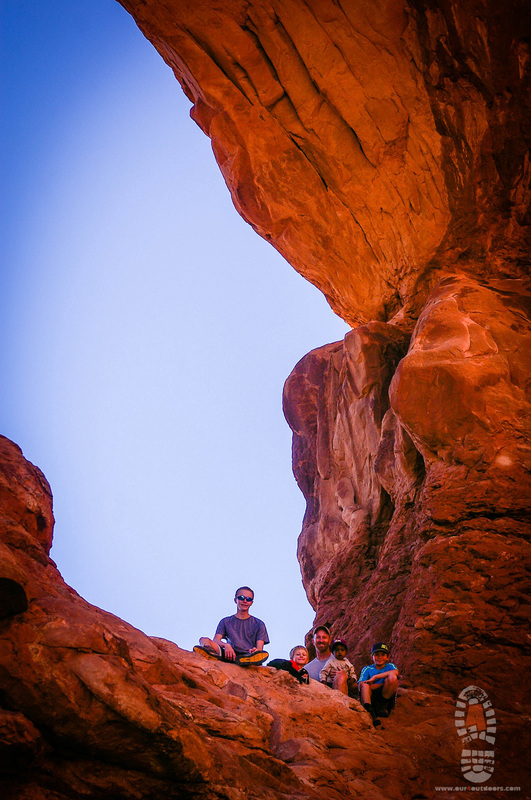 As we contemplated the best way to impress upon our children the importance of their personal heritage in the national park system, we could find no better place than Arches. "Hold on!" you say. What about Yosemite? Yellowstone? The Great Smokey Mountains? Surely they are more iconic, more famous than Arches? And yet...think like a child for a moment. Children are captivated by mystery, enchantment, imagination. Why do you think Disney is so successful with our kids? They capture these qualities in their parks-aimed at kids! Although our children love Yellowstone NP and we have Yosemite and The Great Smokey Mountains high on the "to-do" list, they cannot compare to the mystery, enchantment and imagination-boosting formations found in Arches. Those same formations were indelibly impressed upon a young girl's mind, causing her to find a way to bring her children there decades later. And do you know what? She found herself experiencing the same sense of wonder as a grown adult that she had found as a child. Maybe we all are seeking some mystery and enchantment to kick-start our imaginations! Our book includes hike reviews for families with kids of all ages! 1. Water. You will need more water than you might normally function with. Heed the warning signs and bring plenty of water. Often our children don't think to drink when they are scampering all over the rocks so we make a point of stopping them and making them drink. We designate one water bottle for each person (a bottle of known volume) so that we can see how much each child is consuming daily. Even if you are not showing signs of sweating, remember that the arid environment around you is stealing water right off your skin. You are losing water so make sure to replenish your body regularly throughout the day. 2. Exposure. Exposure is defined as a condition caused by being in contact with extreme elements. You can suffer from exposure to extreme cold or extreme heat. It is quite easy to experience severe symptoms of over exposure to the sun and not realized it at first. To minimize the harmful effects of being in a hot desert environment, it is wise to bring and wear lightweight clothing that covers arms and legs. Also, wearing a hat and sunglasses does a lot to help your body maintain an appropriate temperature. 3. Planning. As you are doing your planning, take into account the hottest parts of the day and plan accordingly. There is nothing wrong with an enforced rest time during the middle of the day. If you plan carefully you can enjoy a shaded campsite while the sun is at its strongest. If you chose to hike, we recommend various hikes that offer more shade- saving those for the hot time of day is wise. Mid day is also a nice time to explore the visitor center. In Arches National Park there is a nice interpretive walk-through display that is interactive for kids. The back of the visitor center is a tall glass window that allows you to view different aspects of the sandstone from inside. There is of course a park video too. Save these for the hot parts of the day instead of first thing in the morning when you arrive or the last thing as you leave. 4. Exploring. Kids love to explore. For our boys, if it is on a main trail it is intrinsically not as interesting as something off the beaten path. It is great to let your kids explore but the desert environment is very fragile. Take the time to know when and where kids should be free to range and roam and when they need to be more contained. We involve our kids in understanding the when and why and remind them that places like these belong to all of us. Programs like the Jr. Ranger programs do a great job of inviting kids into the role of caretaker. In particular, Arches has a large population of cryptobiotic crust soil that is extremely important and equally fragile. Cryptobiotic crust is a colony of bacteria, algae, and lichens that bind thin desert soil together in clumps. These colonies protect the soil from erosion and dissipation from wind. They also are no match for a boot or shoe step. The organisms in these colonies take anywhere from 45 to 250 years to re-grow. Teaching your kids to spot these colonies and avoid them will protect our desert ecosystems in a vital way. 5. Attire. Although we touched on this in #2, more should be said. The desert environment is like no other. Temperatures in Arches can fluctuate 50 degrees in one day! You can be sweating an mid-day and shivering in the hour after the sun goes down. A storm can blow in quickly and leave you cold and wet sooner than you would believe possible. Because kids have smaller body masses, their bodies have a harder time maintaining appropriate temperatures. When we set out on a hike in the desert we bring layers of clothes. We also like to carry a fleece skull cap for each kid. One day we set out on a hike that seemed very straightforward. At some point we lost track of the trail in the sagebrush and misjudged how far we were along. As the sun was sinking lower in the sky and the kids were starting to feel chilled and hungry, we decided it was closer to keep going than to back-track. As we walked and walked I began to get nervous. However, stopping to pull out warmer layers helped everyone to feel better and continue along the trail. We got back much later than we had planned but averted any major disaster by having the appropriate clothing for any eventuality. In preparation for next summer’s trip, I read Abby and Harley McAllister’s e-book guide, Utah’s Big 5 National Parks with Kids. The biggest reason I like their book is it has cut my many hours of research on the web in half. The McAllister’s are a seasoned outdoor family with four children. 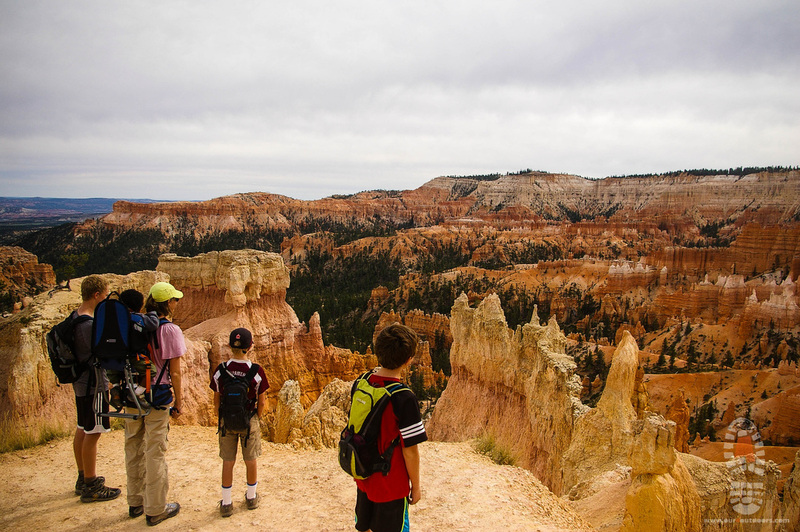 They have taken the guess work out of planning a family vacation to Utah’s national parks from suggested itineraries and hikes to a driving distance matrix and map. Link for a full review visit blog.hikingalong.com "Book Review: Utah's Big 5 National Parks with Kids". -Jennifer Chambers of "Hiking Along"
Wow... This book truly exceeded my expectations for a family friendly travel guide to Utah's Big 5 National Parks. The detailed day trips and must see items for all 5 National Parks, plus the North Rim of the Grand Canyon, included first hand experiences and amazing photo's that provided many options for traveling to and experiencing all of these locations. This guide is well written and a quick reference to use on the trip. Thank you for creating such a valuable hands-on guide.